Waterproof bag designed to keep your clothes, valuables, electronics, or snacks dry. Perfect for a day at the beach or even a hike in the rain. 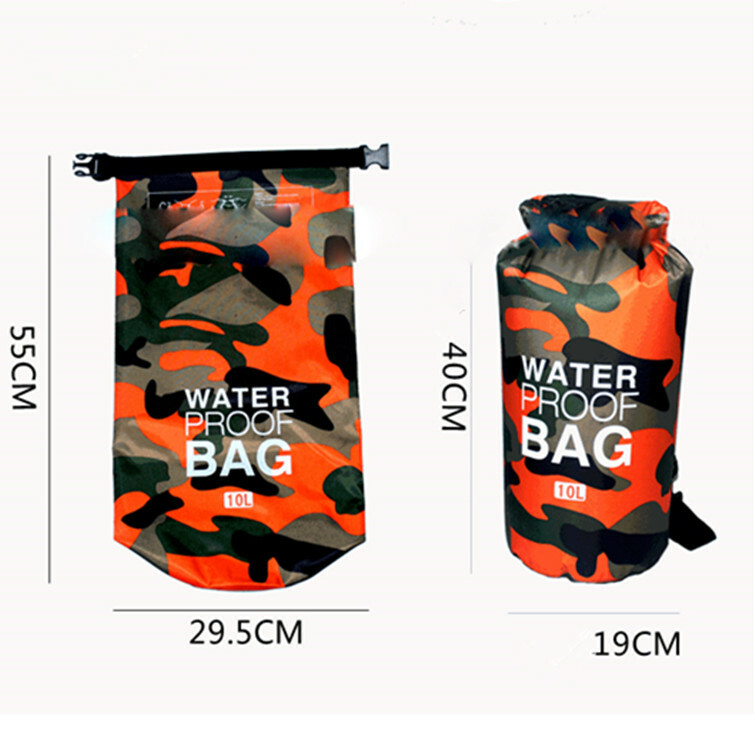 Dry bag is made of PVC and polyster. 5L, 10L, 15L and 20L capacities available. Custom logo can be imprinted with all colors. Price includes one color one side one location with silkscreen printing.